Production Metal Forming Inc. is located in the high desert at 4200ft. elevation. A small town with the largest lake in Oregon. Great fishing, hunting and outdoor activities abound! We are a manufacturer of stainless steel, titanium tools for the carpet and upholstery cleaning industry. 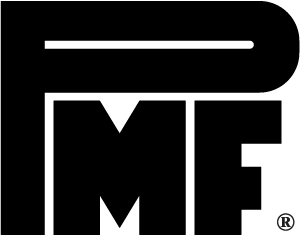 You can see our products at www.pmftools.com. We are looking for a CNC Machinist who can produce parts by programming, setting up and operating CNC mills, lathes, screw machine, lasers. Maintain quality and safety standards, keep production records, maintain equipment. Supervise the machine operators. * Plans machining by studying work orders, technical prints, engineering plans, materials, orthographic drawings, reference planes, locations of surfaces and machining parameters; interpreting geometric dimensions and tolerances. * Programs mills and lathes by entering instructions, including zero and reference points; setting tools registers, offsets, compensation, and conditional switches; calculating requirements, including basic math, geometry and trigonometry; proving part programs. * Sets-up mills, lathes etc. by installing and adjusting three and four jaw chucks, tools, attachments, collets, bushings, cams, gears, stops, and stock pushers; indicating vices; tramming heads. Know or willing to learn laser optics and specific programs. * Maintains specifications by observing drilling, grooving, and cutting, including turning, facing, knurling and thread chasing operations; taking measurements; detecting malfunctions; troubleshooting processes; adjusting and reprogramming controls; sharpening and replacing worn tools; adhering to quality assurance processes. * Plans stock inventory by checking stock to determine amount available; anticipating needed stock; placing and expediting orders for stock; verifying receipt of stock. * Supervises and trains machine operators that they are loading and running the machine properly and doing quality control. We will pay for applicants chosen to come to Oregon for an on-site interview. We will pay for moving expenses once job is offered and accepted.